The Security Service of Ukraine (SBU) has asked NNEGC Energoatom to provide a complete list of documents concerning the business trips of company employees to Brussels on October 27-30 saying that they are "investigating an unspecified criminal case," according to a letter of the SBU's Main Department of counterintelligence protection of state interests in the area of economic security to Energoatom. According to the text of the document which UNIAN has in its disposal, the SBU has requested business correspondence, minutes of official meetings prior to the trip, copies of coordination documents with the Ministry of Energy, the program and report on the business trip, as well as the financial documents. The security officials have also asked for a register of all business trips in 2015 of employees with access to classified information and HR files regarding these employees. According to James Wilson, a EU Reporter Correspondent, in a letter to Energoatom, the SBU's Department of counterintelligence states that the SBU is "protecting state interests in the area of economic security." “No reasons have been given for requesting this list of documents, giving rise to suspicion that this is just old fashioned soviet style bureaucratic terrorism,” says the article titled “‘Keystone Cops’ in Ukraine’s Special Branch pounce on Energoatom” on EU Reporter. “It is no secret that there are forces at large – including a fifth column within the Ukrainian Government – who wish to prevent Ukraine's energy independence, and to maintain the historical dependence of Ukraine on Russian suppliers,” reads the article. 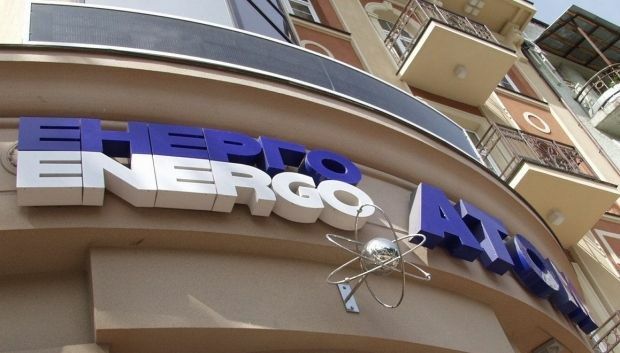 A spokesman for Energoatom said: "Our employees travel abroad regularly – for negotiations with international partners like Westinghouse and Holtec, and for participation in international business fora like the International Atomic Energy Association. These include frequent trips to Russia, and no one has ever questioned these." When asked what could lead to such an investigation by the secret service, the spokesman said, "It is probably just a psychological attack organized by the political opposition, and an attempt to harass Energoatom." Read alsoEnergoatom challenging court's ruling to recover UAH 4.2 blnDuring the Energoatom visit to Belgium, the company signed a memorandum of understanding with PJSC Turboatom, which is a leading producer of power engineering. The memo provides for the signing of a commercial contract in the coming weeks, and the transfer of Holtec International technologies to manufacture specifically designed storage casks (HI-STORM) for containing spent nuclear fuel. These are valuable contracts. The estimated cost of Turboatom's services for Holtec International may reach $200 million over the next 10 years, including approximately $60 million for equipment to store the spent nuclear fuel. The storage units will receive spent nuclear fuel from three nuclear power plants – Rivne, Yuzhnoukrainsk and Khmelnytsky Nuclear Power Plants. Read alsoEnergoatom posts UAH 1.3 bln profit since year start"Working together with Energoatom, we are confident about the prospects for the successful use of our modern technology for the storage of spent fuel, which will provide Ukraine with significant strategic independence in the area of nuclear energy, and significant economic, benefit," said Chief Executive Officer of Holtec International, Inc., Dr. Kris P. Singh after meeting the Energoatom delegation in Brussels. Another project which was discussed during the course of the "infamous" Brussels visit was the Ukraine-EU "Energy Bridge" partnership with Polenergia SA. This project provides for the number 2 power unit of the Khmelnytsky nuclear power plant to work exclusively for the European energy market. It will enable the plant to receive EUR 5 billion for the completion of the third and fourth power units. "Electricity is one of the few Ukrainian products for which there is demand in Europe," said Vice President of the Management Board of Polenergia SA Jacek Głowacki. "This project will allow Ukraine to launch a full-scale integration of its energy system in the European Network of Transmission System Operators for Electricity (ENTSO-E)." The Energoatom delegation also had a working meeting with representatives of Westinghouse and Impulse SPA as part of their partnership agreement to work on the diversification of the company's supply of nuclear fuel. Next year, if the Ukrainian State Inspectorate for Nuclear Regulation approves the licensing of the Westinghouse modernized nuclear fuel, Energoatom intends to purchase f five out of 12 batches of nuclear fuel from Westinghouse. Read alsoEnergoatom to borrow $52.5 mln from Ukreximbank to repay debts to TVELThe strategic importance for Ukraine of the Brussels visit of the delegation, headed by the President of Energoatom Yuriy Nedashkovskyi, is that it has strengthened the company's enhanced cooperation with EU and U.S. companies. Thereby it has laid the basis for the independence of Ukrainian nuclear power, and an end to dependence on Russian nuclear fuel. "It is therefore clear that the actions of Ukraine's secret services are, either by design or by accident, directly supporting the strategic interests of the Russian state owned company Rosatom, which will lose its historical monopoly of supply to the Ukrainian nuclear power industry as Energoatom opens up to the diversification of its suppliers by adopting international standards of competition and transparency in its procurement," reads the article on EU Reporter. Read alsoEnergoatom set to share experience with EU companies on using nuclear fuel of various suppliers"In fact, during the trip we presented in Europe Ukraine's potential not only in nuclear power, but also in atomic industry – the possibilities of Ukrainian producers in nuclear engineering and automation systems. Judging by the interest in our enterprises, we believe that Ukrainian producers will be able to enter the European market," the Energoatom spokesman went on to say. "In addition, during the meeting in Brussels between Yuriy Nedashkovskyi and the General Secretary of the Energy Charter Secretariat Urban Rusnak, Energoatom was invited to become a member of the working group on Industry of the European Energy Charter. We may become the first European operator of nuclear power plants that will take part in this group," he concluded.